We're consultants in marketing communications. We'll review your communication programs to ensure best results. We train and write, too. From Public Relations to Presentation Training, we'll help put you in the center ring spotlight. What can we do for you? 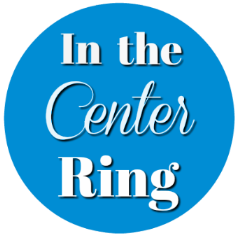 In the Center Ring provides individuals, organizations, and businesses with the information and training needed to bring a product, message, or mission to the forefront – publicly or internally. For more information and answers to your questions, email us. We look forward to discussing how we may provide the spotlight services you need.